Saint Peter Catholic Church in Clarks, NE was constructed in 1926. 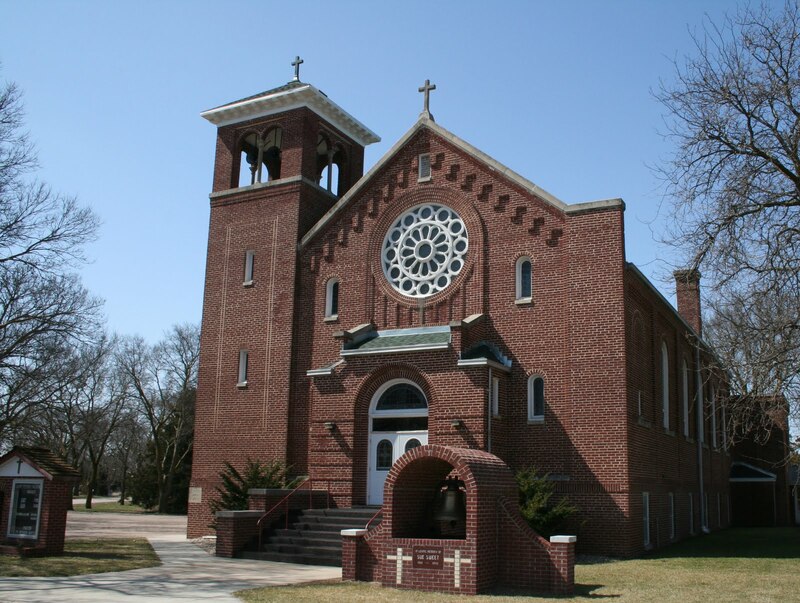 The exterior of the church is an example of a late Romanesque Revival design; much more restrained than in earlier decades. 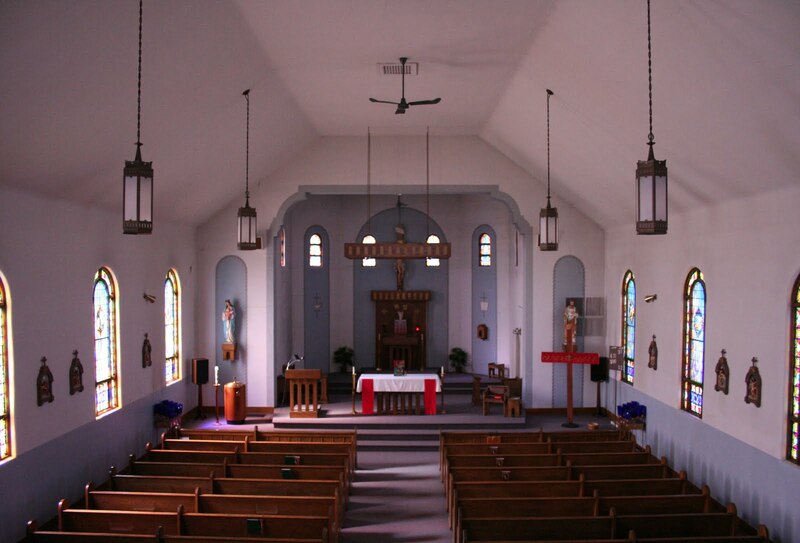 At some point, it appears that the church's bronze bell was removed from the tower. The inscription on the bell reads: "Dei Gloria in Excelsis. 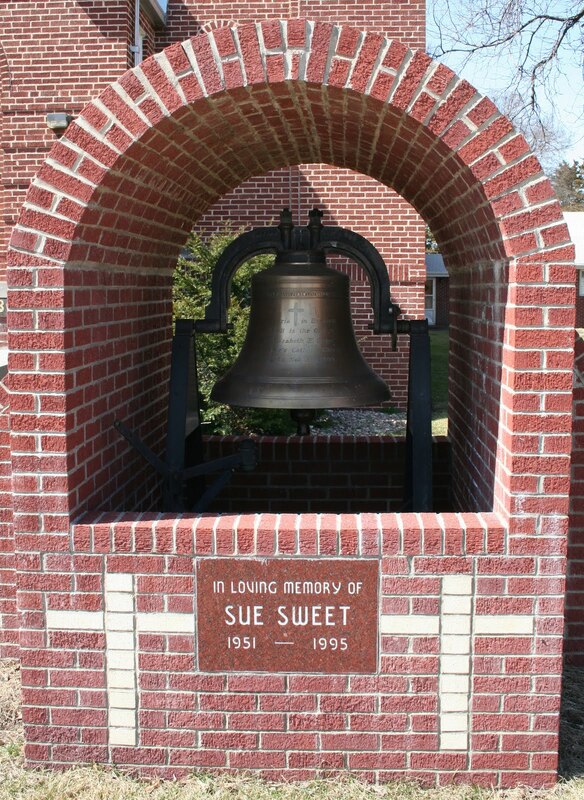 This Bell is the Gift of Mrs. Elizabeth E. Sweet to St. Peter's Catholic Church of Clarks, Neb. A.D. 1898." Obviously this bell dates from a previous church building. The interior is very restrained as is common in churches of this time period. This was stylistic trend that was later simplified even further with the onset of the Great Depression. 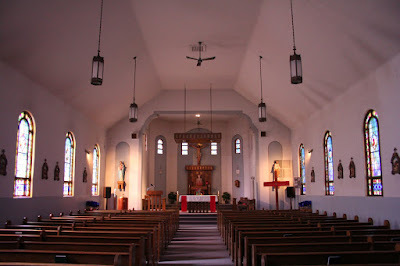 While the current arrangement is tastefully executed, I am curious how the interior appeared prior to this renovation. 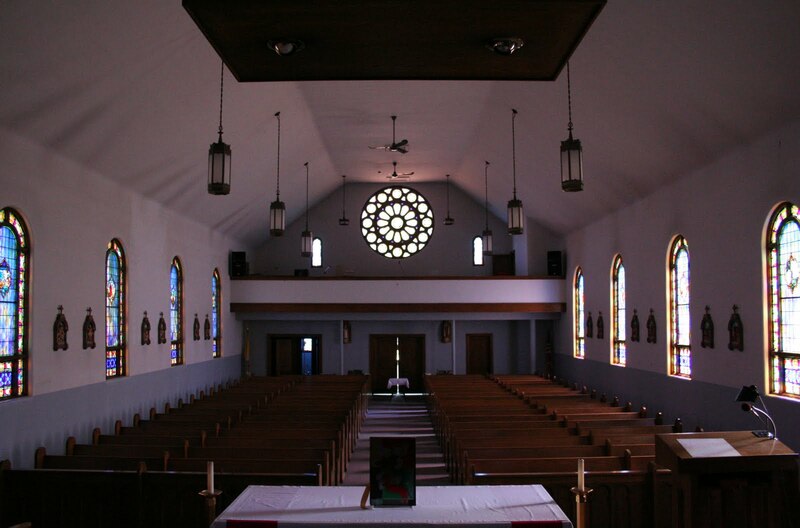 From the balcony, one can clearly discern the various converging architectural influences in this church. 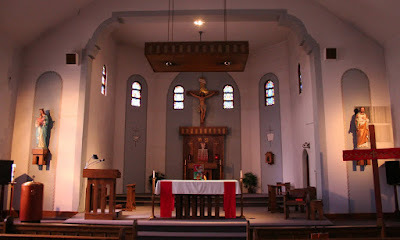 Romanesque Revival in the shape of the windows and furnishings; Art Deco in the sanctuary arch; and perhaps more of a Functionalism in the angular ceiling. The sanctuary arch beautifully illustrates the influence of the Art Deco movement, which was just beginning to emerge when this church was constructed. 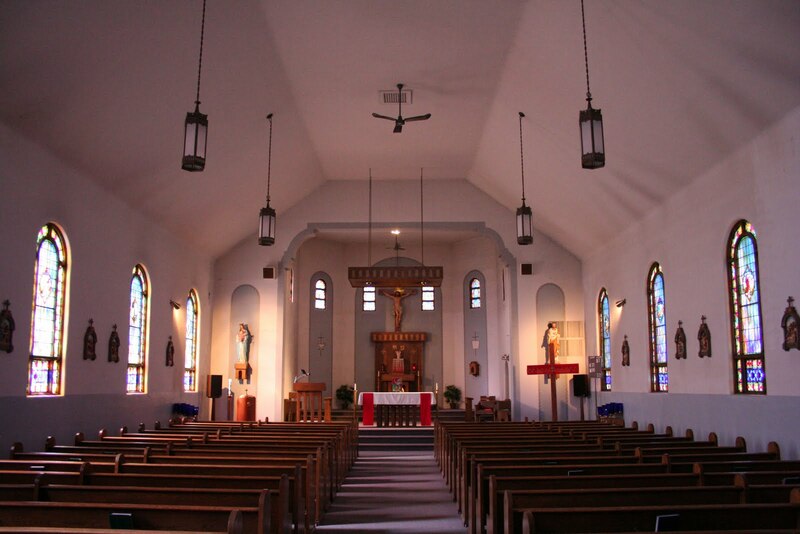 The renovated sanctuary echos the simple nature of this particular church. 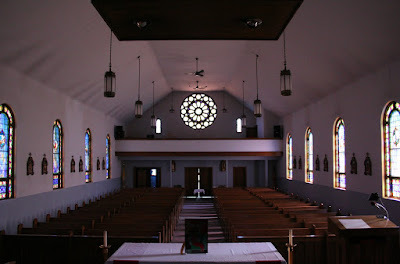 View from the altar toward the loft and rose window. 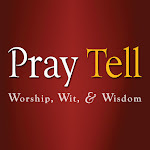 The brilliant windows, primarily executed in shades of blue, depict various scenes from Scripture. 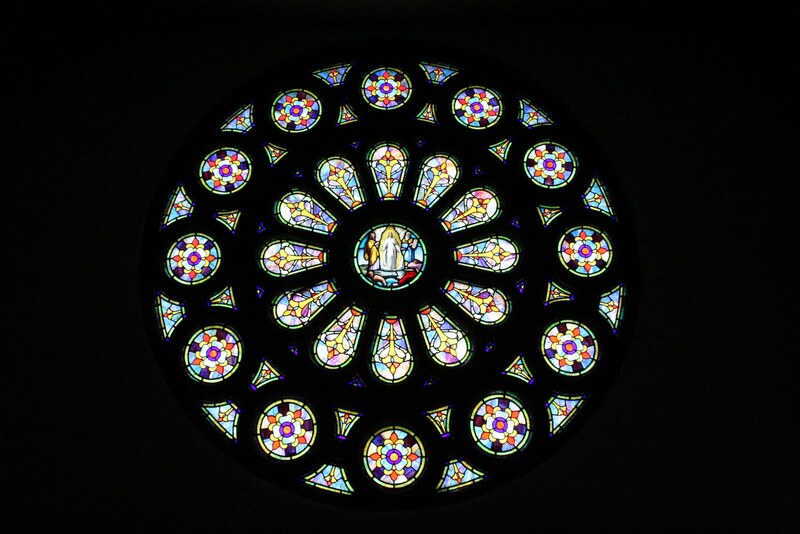 This particular window is of Jesus walking on the water. 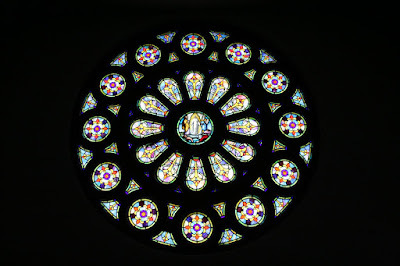 The great rose window certainly portrays the magnificence of the scene in the center: The Transfiguration.